This client wanted to add a decking roof to their existing dwelling in suburban Kiama. 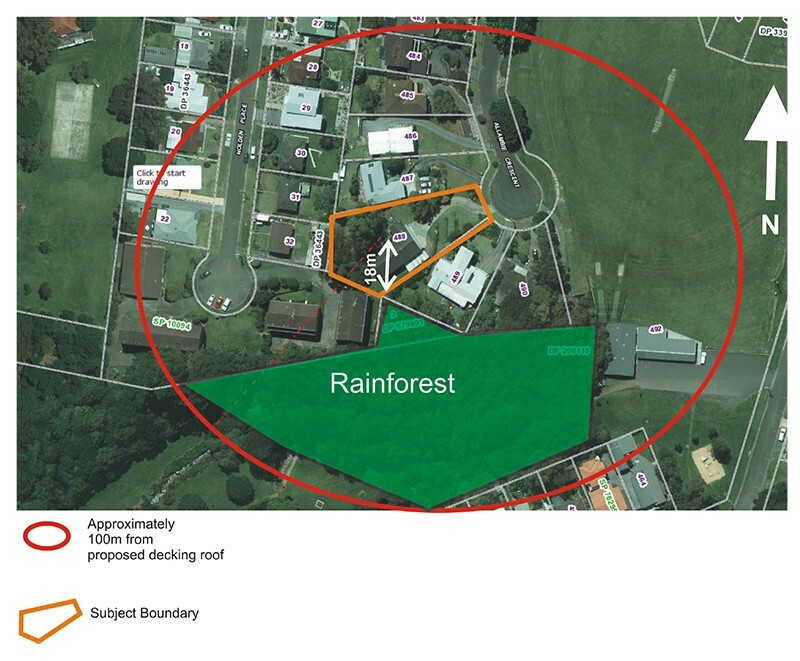 The dwelling was located 18 metres from a public reserve with rainforest on a 10 degree downslope. This property was issued with a BAL 29 Certificate. Had this property been within 17 metres of the public reserve it would not have been able to be assessed in this way.